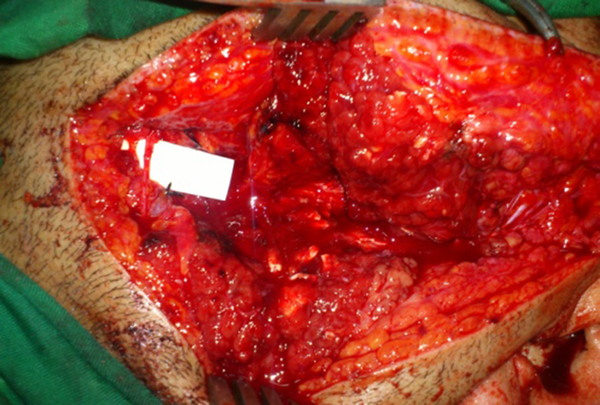 To Cite: Shafaiee Y, Shahbazzadegan B. Facial Nerve Laceration and its Repair, Trauma Mon. 2016 ; 21(2):e22066. doi: 10.5812/traumamon.22066. Introduction: Facial paralysis is a devastating condition with profound functional, aesthetic and psychosocial consequences. Tumors within or outside the skull, Bell’s palsy and trauma are the most common causes of facial paralysis in adults. Case Presentation: Our patient was a 35-year-old man with deep laceration wounds. The patient was taken to the operating room and the nerves were repaired. We observed gradual improvement of muscle performance except branches of the frontal nerve. Conclusions: Complete rupture of the facial nerve is challenging and the treatment is surgery, which requires careful planning. Facial nerve palsy causes functional, aesthetic and psychological difficulties. Facial nerve is the most important motor nerve of facial muscles and is critical for protection of eyes, air ways, normal speech and prevention of eye dryness. It may be congenital or occupational, complete or partial and unilateral or bilateral. Intra and extracranial tumors, Bell’s palsy and trauma are the most common causes of facial nerve palsy (1). A large part of this nerve is motor and damage can cause face asymmetry, taste disorders, hearing, tearing glands and salivary gland problems (2). 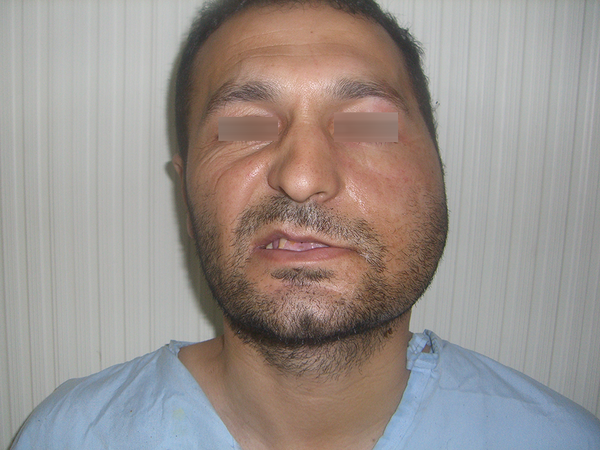 In this report, a case of facial nerve injury and successful repair is reported. Our patient was a 35-year-old man referred with stab wound causing deep lacerations in the left temporal area of approximately 2 cm in front of the ears to the area under the lower lip. Wound depth was considerable and spread to the underlying bone. On physical examination, complete paralysis and immobility in all the muscles of the left half was evident. He could not raise his eyebrows or close his eyelids and complete paralysis of the muscles around the mouth and chin was seen. The patient was admitted to the hospital about an hour after the laceration. After control of bleeding and compression bandage, he was taken to the operating room (Figure 1). On examination during the operation, it was seen that all branches of the facial nerve were completely severed. It was found that nerve trunk was intact, but all branches of the facial nerve including frontotemporal zygomatic-buccal and mandibular were completely cut. After determining proximal and distal parts with a nerve stimulator, they were repaired under magnification microscope in an end to end manner (Figures 2 and 3). 1.5 years after surgery, the patient was followed. Gradual improvement in the performance of muscles except the frontal and forehead muscles was observed. Based on the grading table of muscle performance (Table 1) (3), paraclinical findings were consistent with nerve Strip Grade 2 (good to excellent) (Figure 4). - 2 months after repair; severe and subacute lesion of facial nerve with some evidence of regeneration. - 9 months after repair; axonal lesion of facial nerve in frontal branch with regeneration of other branches. - 18 months after repair; inactive lesion of facial nerve with good regeneration. 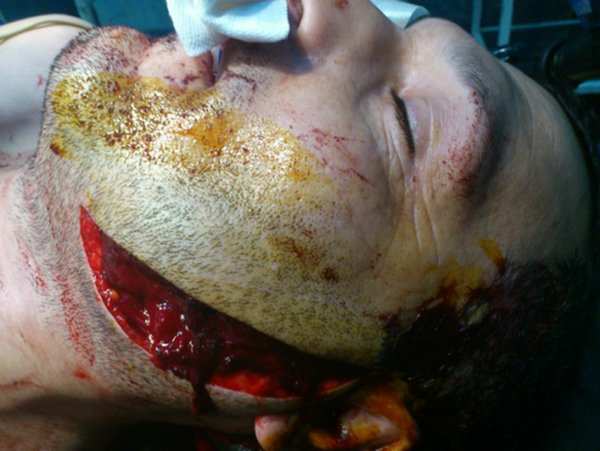 Facial nerve injury after trauma is usually common, especially when fracture of temporal bone is present (4). However, damage to the facial nerve branches following laceration is also common. Leitch et al. reported an unusual case of facial nerve palsy following soccer related minor head injury. A 16-year-old amateur soccer player with a minor head injury while heading a ball in the air. He was unconscious for two minutes and remained ‘‘dizzy’’ for about an hour. 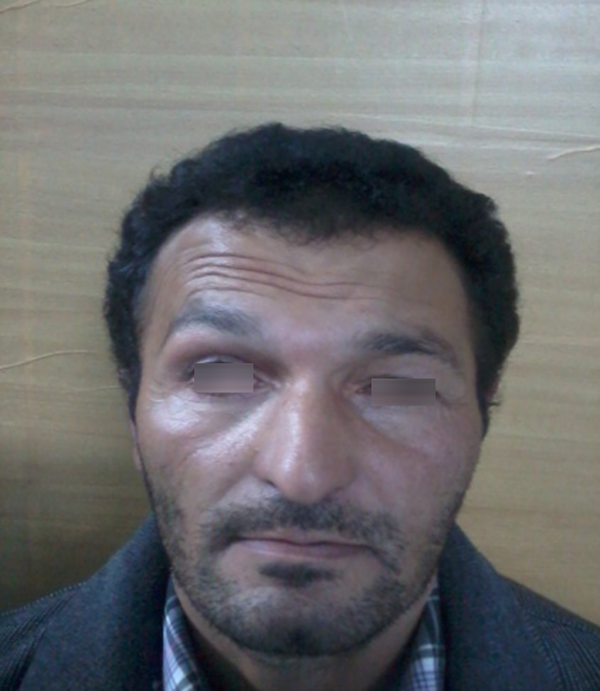 After two days he developed profound left lower motor neuron facial nerve palsy. On examination, his Glasgow coma score was 15 and his cranial nerves were intact. He had surgical emphysema in the left pre-auricular area and blood in the left external auditory canal. Despite delayed treatment, the patient experienced complete recovery (5). White believes that facial paralysis is a fundamental challenge for the surgical team, which requires a full evaluation to guide the surgeon to choose the appropriate treatment. Immediate facial nerve repair is necessary to be continued as the standard of care following traumatic denervation. Secondary repair is preferred using special techniques. However, patients should be advised that it is difficult to return their initial symmetry and facial movements and the methods described are not able to return all facial movements (6). Given the important anatomic structures, achieving favorable treatment outcome depends on the surgeon’s experience. We would like to express our special thanks to all Fatemi hospital personnel for their help and support. Authors’ Contribution: Yousef Shafaiee developed the original idea and protocol, Bita Shahbazzadegan wrote the manuscript, abstracted data and prepared the manuscript.